The Tamil Nadu Dairy development state government enterprise Aavin has agreed to supply 7.24 Lakhs Kg of ghee at a cost of Rs. 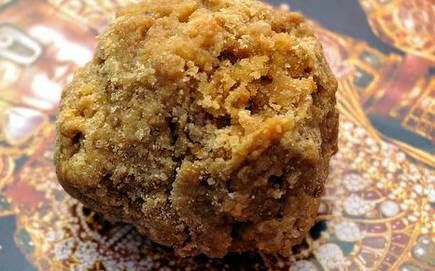 23 Crores after a rather long gap of 15 years for the preparation of the famous Tirupathi temple offerings of Laddus. ‘Presently, Aavin procures 12 Lakhs litres of milk every day from the rural milk producers. Aavin sells 23.50 Lakhs litres of milk every day. The remaining milk is used for making milk-related sub-products and sold throughout Tamil Nadu. Further Aavin sells milk, butter, and milk powder in the Aavin branches in other states by participating in government or government-linked tenders. In order for the usage by the foreign resident Indians, long-life milk (manufactured at high temperatures) with a life of over 6 months, and ghee in Asian countries such as Singapore and Qatar. In this situation, Aavin ghee is all set to be sold to the famous Tirupathi Temple for the preparation of the famous Tirupathi Laddu offerings. A contract was signed between the Aavin Unions at Salem and Erode and the Thirumalai Tirupathi Devasthanam Board to procure 7.24 Lakh kgs of ghee at a cost of Rs. 23 Crores for preparing the famous Tirupathi Laddus during October 2018. Presently, Aavin has been selected for this base on the quality and price. It is worth noting year this contract is signed after a gap of 15 years when the last similar contract was signed between the two agencies in 2003-04.